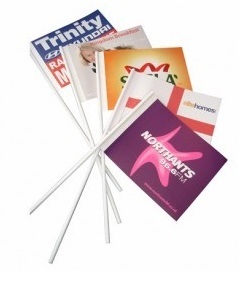 are you interested in cheap, customisable paper flags? 15 x 21 cm or 12 x 24 cm. we can print your logo and/ or company name on them, in one or multiple colors. the flags are made of sturdy paper and won’t tear easily. 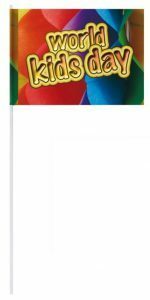 that’s why our paper flags are ideal for events, festivals, and kid’s parties. the sticks are made of good quality plastic so those also won’t break easily. All you need to do is tell us what you want printed on them, and we do the rest. 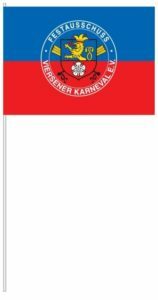 you can order these paper flags online, through our mail. these flags are to be ordered with a minimum amount of a thousand pieces, with a print in one or multiple colors. we also print both sides of the flags, so people are always able to see your message. you don’t have to pick from a few standard motives, you can design your won completely. this way you’ll always have completely unique paper flags.